Need a trade show rental booth in Houston, without the stress? If you are looking for a trade show display exhibits designer and builder in Houston for your next event, we at Exponents are here to engage with you. With an impeccable record of collaborating with industry leading brands from across industry verticals across more than 50 major trade show locations over more than 30 years, we at Exponents are the leading trade show exhibit display designer and builder in the United States of America. We offer turnkey trade show display exhibits in Houston and all major trade show destinations in the country to brands to add dimension to their experience of trade show participation. With comprehensive services of design, build and delivery of trade show display exhibits in Houston, we allow your marketing team to focus on the core functions of visitor engagement, strategic dialogue and lead generation as we take care of the rest. With dedicated teams of trade show consultants, booth designers, project managers and concierge staff for installation, supervision and dismantling of the rental booths in Houston, we assure your marketing team a completely seamless experience of participating in the trade show. WHAT END TO END SERVICES CAN YOU GET FROM EXPONENTS? With a multitude of successful collaborations with industry leading brands to address their requirements of trade show display exhibits in Houston and more than 50 major trade show destinations in the country, we at Exponents are one of the finest designers and builders of rental trade show booths. We offer fixed and pre-committed prices on our full range of trade show display exhibits. Our open pricing gives you full clarity into the financial scope of the project. 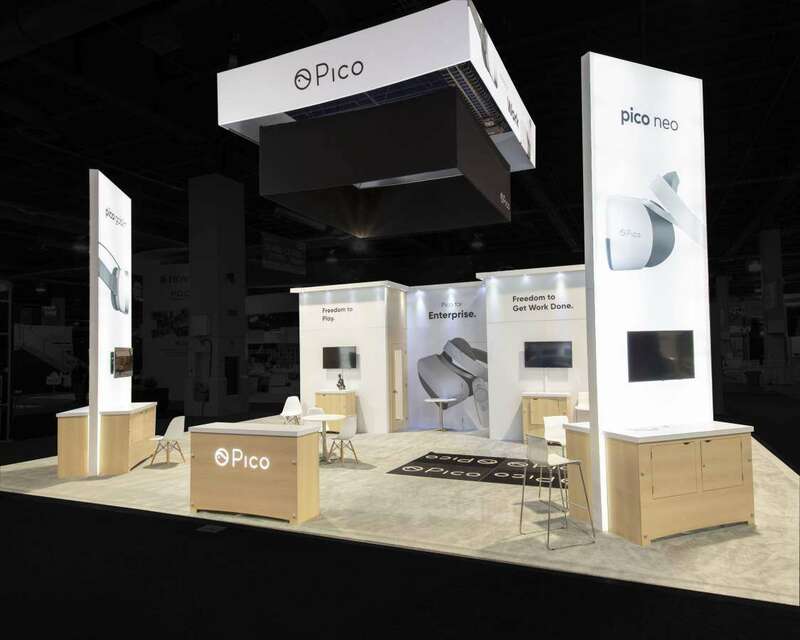 Explore the most amazing trade show rental booth designs from our team of trade show booth designers to make full use of the floor plan and built environment. We deploy an indigenous booth manufacturing technology to build your trade show display exhibits and use the finest quality materials and fabrics. Get access to large scale brand graphics and content to add dimension to your trade show rental exhibits and announce your brand presence in style. 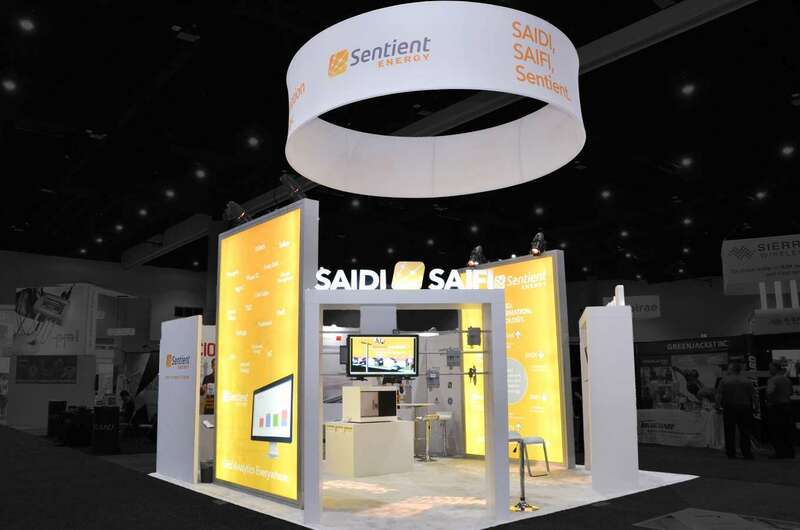 Our trade show rental exhibits are affordable and reusable that can re-deployed across events in the calendar year to save costs, time and resource engagements. Hire a staff team from Exponents to receive complete on-ground support for the installation, on-site supervision and dismantling of your booth rentals in Houston. Allow your brand to hog the limelight on the floor of the trade show by deploying state of the art trade show display exhibits in Houston from Exponents. Showcase your brand offerings, demonstrate brand value proposition and participate in deliberations on industry challenges to augment your brand potential. 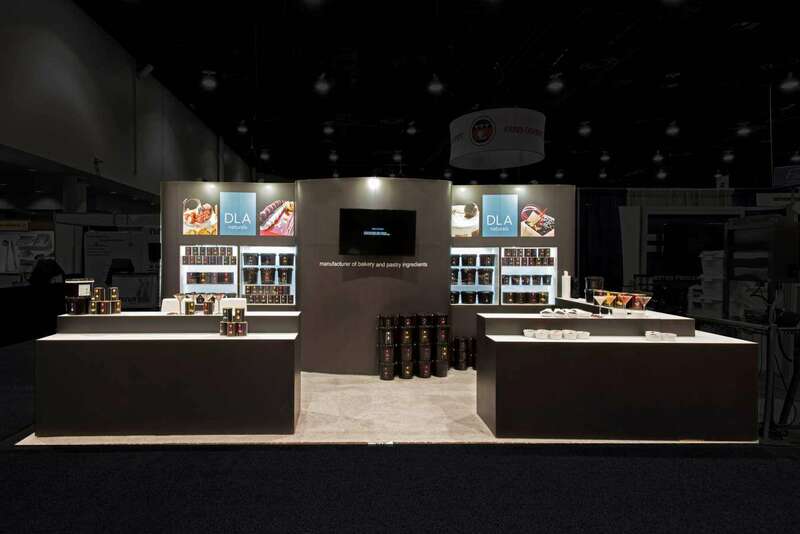 Project brand excellence with new and fresh designs of trade show display exhibits in Houston to reinvigorate your brand positioning on the floor of the trade show. Reinvent visitor engagement with large scale brand graphics and content production in vibrant colors that are imprinted on your trade show exhibit displays in Houston. Reimagine visitor experience with our precision engineered trade show display exhibits in Houston to build traffic into your booth. Create a professional and aesthetic ambiance inside the booth rental to host sprint meetings with visitors, arouse their interest and attention for your brand. Generate qualified leads for new business development with trade show display exhibits that allow you to announce your brand presence and augment the memories of visitors. Emerge from the trade show having cemented relationships with existing clients and having initiated new relationships with prospects to touch the targeted return on investment from the event. When you choose Exponents for your trade show exhibit displays in Houston, your brand gets the competitive edge on the floor of the trade show, courtesy the experience, expertise and exposure of our people to a multitude of successful collaborations. With amazing and fresh trade show exhibit display designs we enable your marketing team to redefine brand positioning so that your brand becomes the cynosure of all eyes at the trade show center. Our new age trade show booth rental manufacturing capabilities add dimension to your trade show exhibit displays in Houston. Our teams of trade show exhibit designers and trade show booth rental consultants engage with your marketing team to provide them insights on creating more value from the allotted floor plan, layout, built environment and deployment of intelligent visual merchandising techniques to highlight the unique selling proposition of your brand. Further, our trade show display exhibits are affordable and reusable, implying that your marketing team can re-deploy them across events in the marketing calendar and thus save costs, resource and time engagements in preparing for discrete events. At Exponents, we offer you a full range of more than 500 trade show rental booth design ideas to choose from. 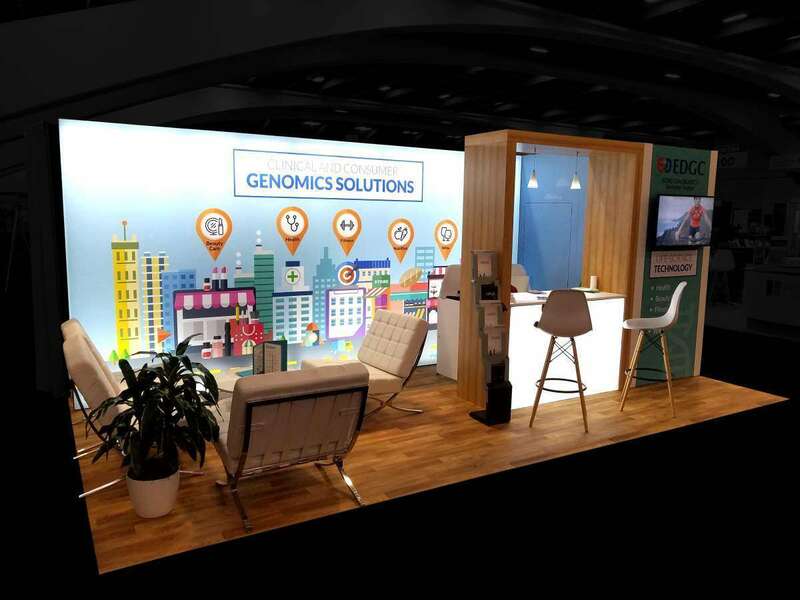 Each of these rental booth designs is a brainchild of our team of ace designers and is conceptualized on latest industry trends and best practices. You may wish to integrate add-on features to our modular booth rental designs for extended functionality and performance. 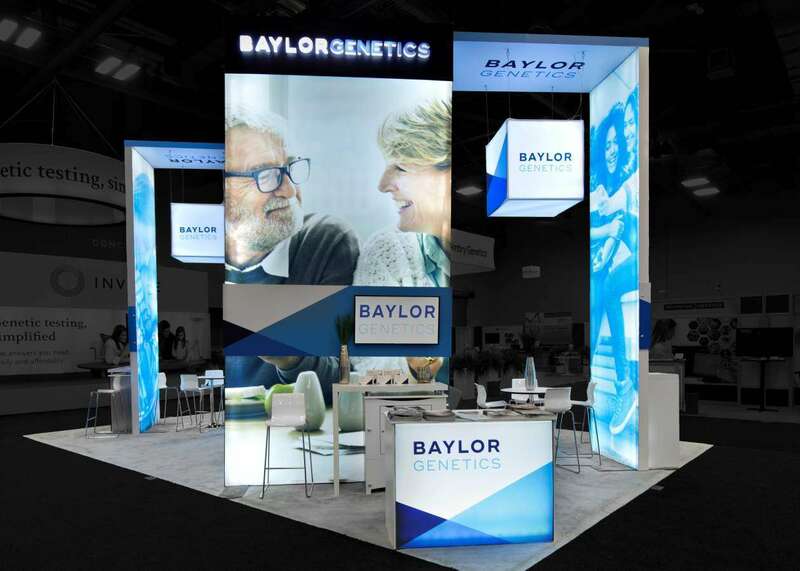 Our team of trade show booth designers shall engage with your marketing team and lend a customizable touch to your trade show display exhibits in Houston. 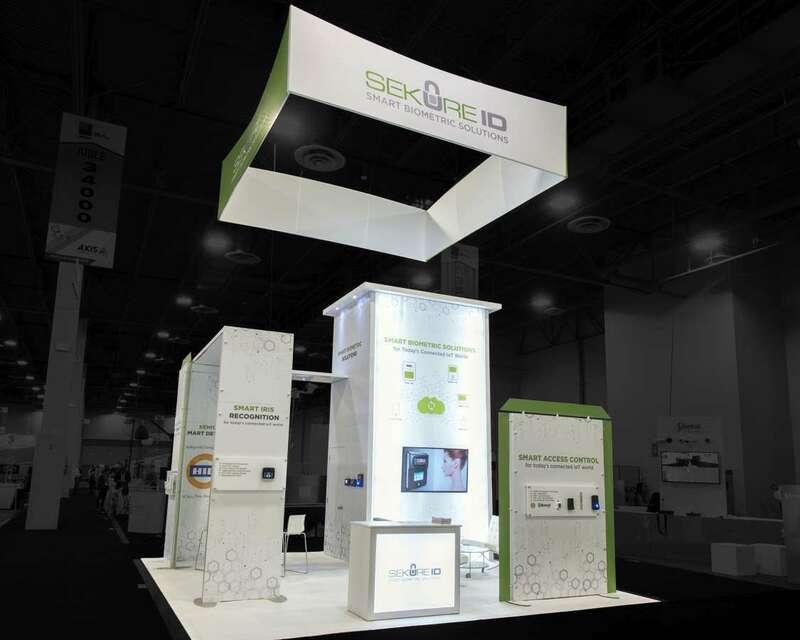 You may further wish to explore completely fresh and customized trade show rental exhibit designs. 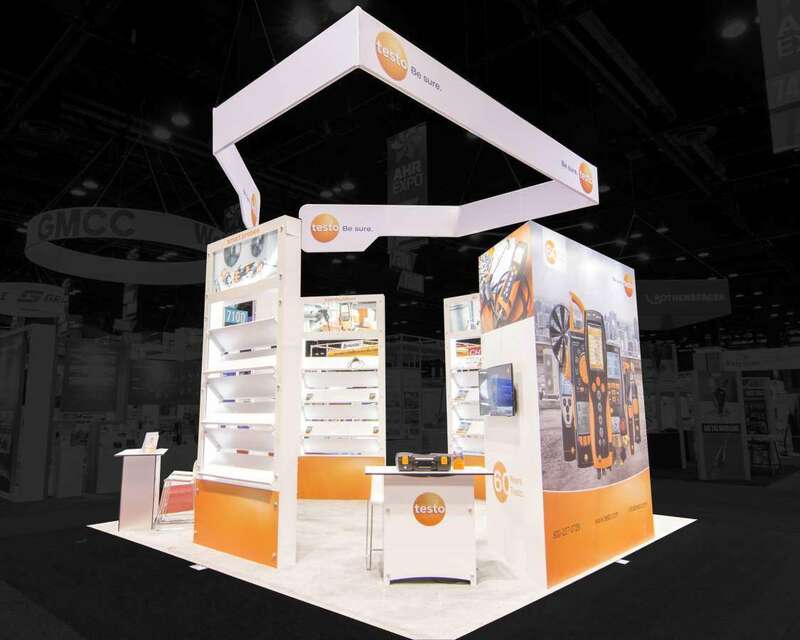 Our trade show exhibit designers conceptualize a fully custom trade show exhibit display design based on your requirements of booth size, floor plan, layout and color coding. With amazing and fresh trade show display designs, we enable your marketing team to redefine brand positioning so that your brand becomes the cynosure of all eyes at the trade show center. At Exponents, we offer your marketing team a full suite of services of design, build and delivery of your trade show display exhibits in Houston. We approach your trade show participation as a well-defined project with a clear identification of your requirements of trade show display exhibits in Houston, deliverables and timelines. To this extent, we deploy proven and dedicated project management capabilities to streamline the project and ensure the delivery of total quality based solutions to all your challenges. We assign a dedicated project manager for your marketing team that engages with them to learn about your brand, your unique business philosophy and value proposition and correspondingly your requirements of booth rentals in Houston. 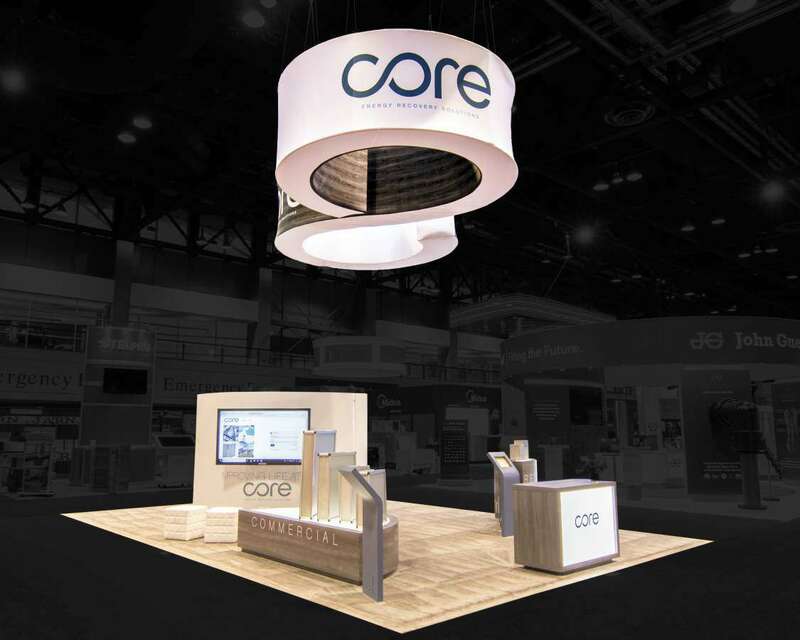 Our team of ace booth rental designers engage with your marketing team to walk you through a range of more than 500 modular trade show displays, explaining the functionality and performance of each of them. You get to understand the value proposition of each of the trade show exhibit display designs and choose the one that best fits your brand image and personality. 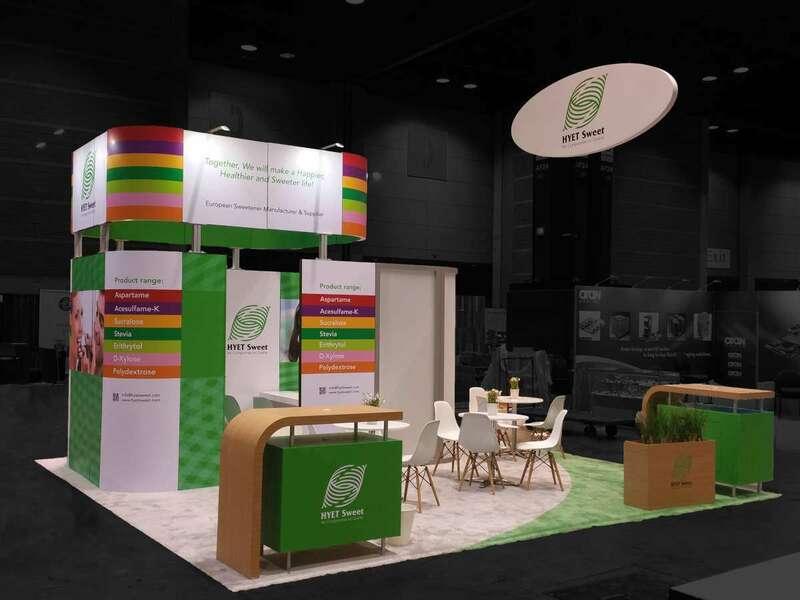 We build your rental booths for trade shows deploying our indigenous booth manufacturing technology at our workshop, using the best quality materials and fabrics and imprint these with vibrant and lively brand graphics and content. 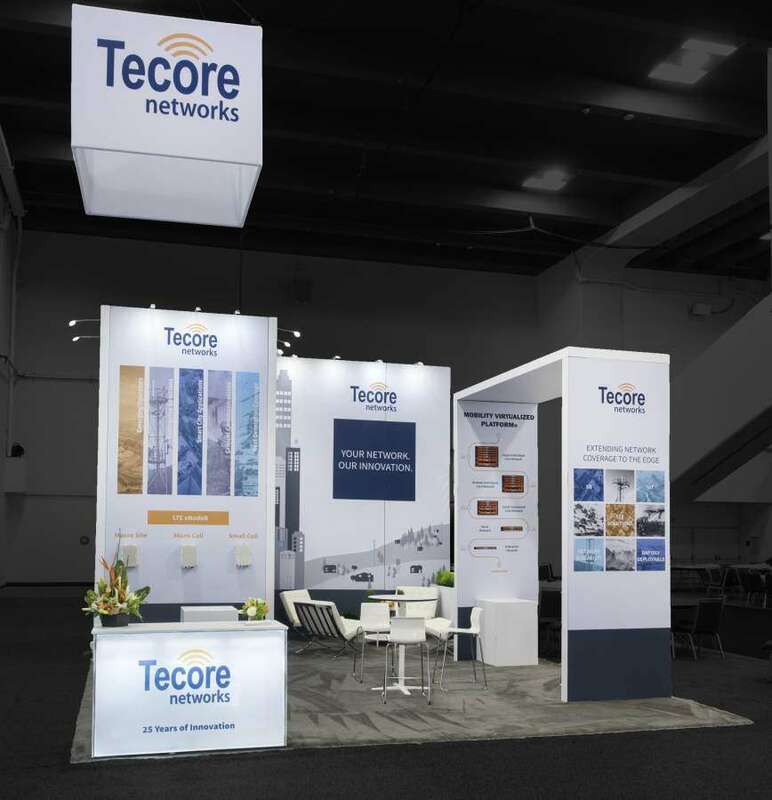 Once built, we stage your trade show display exhibits twice; first at our workshop and then again at your site ahead of the trade show so that your marketing team gets to inspect the functionality and performance and steer clear of technical and structural glitches. We deliver your trade show display exhibits in Houston on-time ahead of the schedule of your trade show to avoid last minute hassles. Not only this, we also allow you to hire a staff team from Exponents to receive complete on-ground support for the installation, on-site supervision and dismantling of your trade show display exhibits in Houston. WHAT IS SPECIAL ABOUT TRADE SHOW EXHIBIT RENTALS FROM EXPONENTS? Exponents are the only trade show exhibit display designers and builders in the United States of America to offer fixed and pre-committed prices on the full range of trade show display exhibits in Houston and all major trade show destinations across the country. With our pre-committed prices on rental booths in Houston, we allow your marketing team to get an insight into the financial scope of the project and approach the project with a total outlay in sight. Decision Making: With open pricing of trade show display exhibits from Exponents, we allow your marketing team to make fully informed choices. Our transparent pricing of your trade show display exhibits in Houston paves the way for your financial planning. Financial Planning: With our fixed and pre-committee prices on your trade show display exhibits in Houston, you get to streamline your financial planning for the trade show project and assess the effectiveness of your dollar spending objectively. 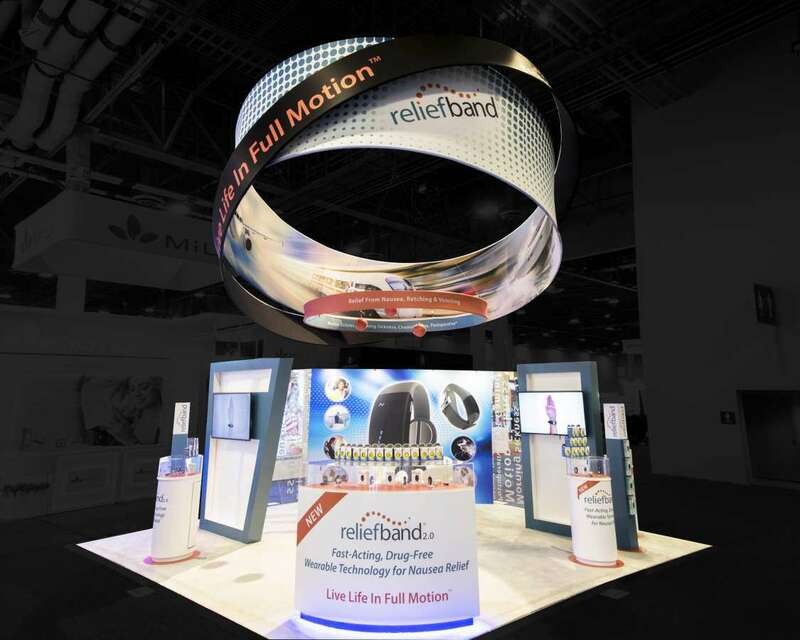 Return on Investment: We offer you an unambiguous insight into the functionality and performance of each of our trade show display exhibit designs so that you get to assess the outlay and the returns objectively. At Exponents, we understand that participating in a trade show and thereafter achieving the targeted marketing goals is a big task. We match step with your marketing executives to offer you a smooth sailing during the course of your entire trade show project. Right from the design to the installation of your trade show exhibit displays in Houston, we match step with you to liquidate all challenges and overcome challenges. Our dedicated project management capabilities, adherence to process discipline and smooth coordination and scheduling are key components that add value to your trade show project beyond the delivery of your booth rentals in Houston. With our dedicated project management, you receive regular updates on the work in progress and are always in the know-how of evolving situations in the run-up to your trade show. From seeking your inputs on the booth size, floor plan and the color coding to be used to the build of your booth rentals in Houston, we engage with you, learn about your requirements and translate them into delivery. 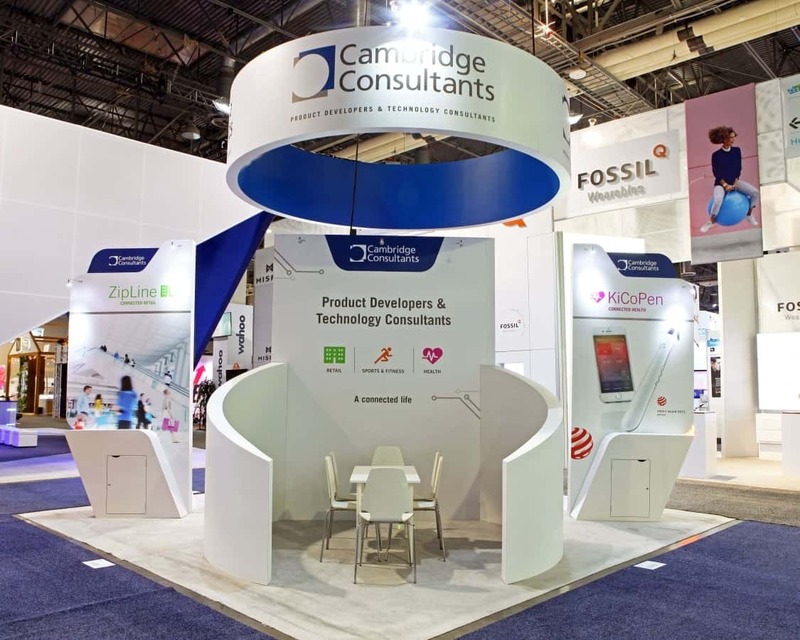 Our process discipline over the last 30 years has enabled us at Exponents to maintain consistent quality levels and benchmarks across all touch points of design, build and delivery of your trade show display exhibits. At Exponents, we know that your marketing team is chasing an agenda and has goals to achieve, from participation in the trade show. Our commitment to just-in-time delivery is backed by an impeccable record of successful collaborations with brands, wherein we have offered solutions to challenges in near real-time scenarios.